Chief White House economic adviser Gary Cohn on Thursday said he "can't guarantee" taxes won't go up for some middle-class families, even though he said the White House's new tax proposal is "purely aimed at middle-class families." "I can't guarantee anything. You can always find a unique family somewhere," Cohn told ABC's George Stephanopoulos in an interview that aired on "Good Morning America," noting a family of four earning $55,000 could expect to see a tax decrease between $650 and $1,000, but acknowledging there are always exceptions to any rule. 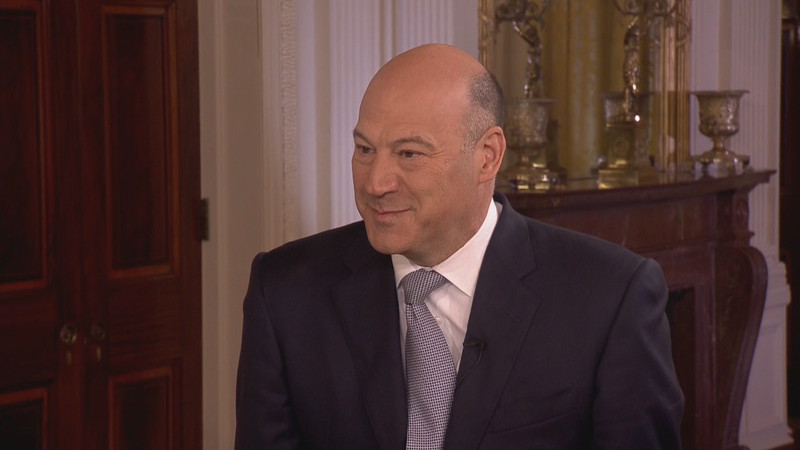 Cohn later dodged a pointed question from Stephanopoulos as to whether he could guarantee President Trump wouldn't see a tax cut under the plan, instead saying the plan is aimed to benefit the country as a whole. Mr. Trump has declined to release his tax returns, so it's difficult to judge how the plan would affect him exactly, but he is likely to benefit from the proposed elimination of the Alternative Minimum Tax and eventually, his family is likely to benefit from the proposed elimination of the estate tax. The White House has emphasized the president's tax plan was designed with the middle class in mind, something Mr. Trump touted during his Wednesday speech in Indiana about the plan. "Our framework includes our explicit commitment that tax reform will protect low-income and middle-income households, not the wealthy and well-connected," Mr. Trump said during his Wednesday speech in Indiana, rolling out the plan. "They can call me all they want. It's not going to help." But the details of the plan — which still have to be ironed out by the tax-writing House and Senate committees — don't make that protection very clear. The plan roughly doubles the standard deduction for individual filers and couples filing jointly and will likely increase the child tax credit, but will also eliminate a number of tax deductions and credits. Cohn acknowledged that the impact on tax filers depends some on where they live, since the plan eliminates the deduction of state and local incomes taxes. That would disproportionately affect people in higher-tax states and cities. Stephanopoulos said the top tax official in New York City estimated half of NYC families earning between $50,000 and $75,000 will see a tax increase under the president's plan. "Well George, if you look at the reality of the country as a whole, less than 25 percent of the families in America itemize," Cohn said. So we're solving for the country as a whole. So only the people that itemize today, which are less than 25 percent of the families in America today itemize, so they're the only ones that are actually taking the deduction for the state and local taxes. We're solving for the greater good of the country."